Underground Graphics are sponsoring several Rally competitors for 2008 including Mark and Amanda who will be driving a Pug 106 rally prepped 16v car in their first season of competition. 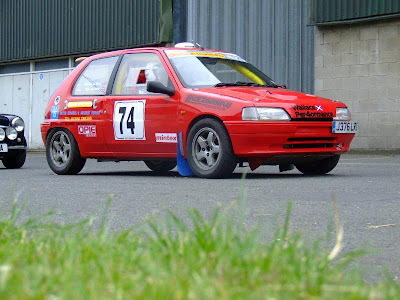 So far we have done the Ingleston single venue Tarmac rally and a more local autocross which was great fun, we both drove and got a 3rd and 6th in class that day. Ingleston was brilliant too, very nerve wracking for us both but we finished and no breakages. 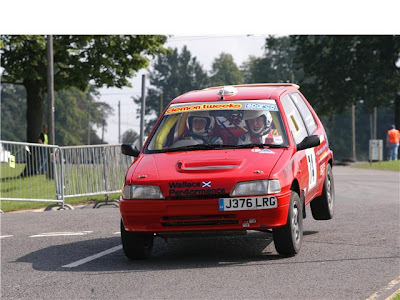 I am back on September 3rd from working overseas and on the 5th Sept we are driving down to Newton Stewart in Dumfries to do the Merrick Forest Stages which is a really big 110 mile event over one day on the 6th. The next weekend we are going down to Durham for the Tour of Hamsterley Forest Stages again a 90 miles multi stage event! 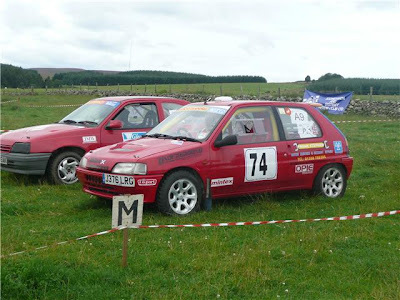 The following weekend we are dong a 2 day sprint event north of Aberdeen then my last weekend at home we are marshaling the McRae stages in Perthshire so there is lots going on. Waiting for good pics to send you showing the graphics etc.